The wind has finally kicked in, the sun is shinning, the water is getting warmer. Its time to put the winter blues to bed finally and get ready for a whole season of awesome wind. 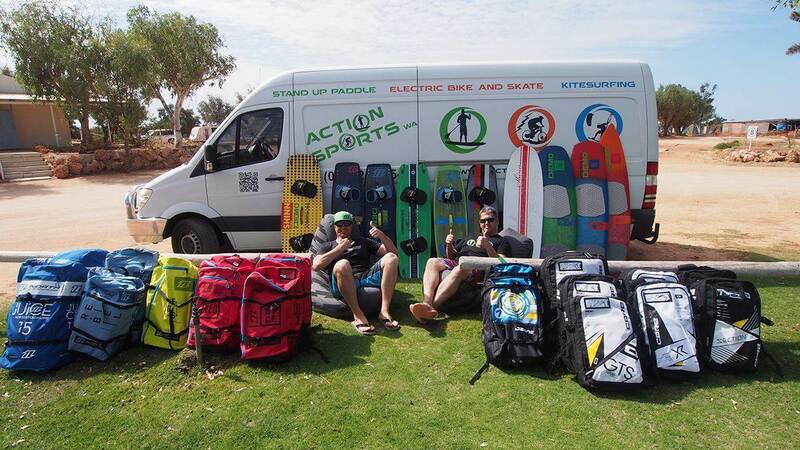 With more Kites, Twintips, Surfboards, foilboards and Foils than you can poke with a big stick from, Duotone, Ozone, Core, Slingshot, Flysurfer, Moses HF, Fanatic and Shinn, this is a great way to start the season, meet up with mates and maybe look at what the bigest brands in kiting have been doing over the winter to make your 2019 awesome. We'd love to see you down at our local from 12.00 till 17.30, to look at the gear, take it for a blast, ask about lessons or even just say hello to the ASWA team. In twintips we have, Duotone Jaime in standard and Textreme, Duotone Select In Standard and Textreme, Spike Textreme. Shinn Monk, Shinn Pinbot yellow, Shinn King gee. In directionals: Duotone WAM's, Whips, Nuggets, ProSession, Shinn Shinnster Encore, plus last years favourite, the Delta Revamp. And finally on foil front, Slinshot infinity, 76, Spaceskate 65, 4'6 Dwarf craft, 4'11 Alien air, 5'4 Simulator In the shinn range P foil & F foil, Shinn Jackson, Duotone has Pace, the Hybrid, and the North Profoil, In Moses we have Onda 71, Fluente 91, and Comet 111. Want to try Prone surf? we also have the Fanatic Sky prone board and the Fanatic Aero 1500. Just look for the big tent on the beach and say hello! !